This weather!!! I'm in love and I think you all know it (maybe you're ready for me to stop fawning about it), but I can't help it. There's something special about a day that doesn't get out of the seventies and even better if it lingers in the sixties, but I'll wait for the latter until fall is officially here. Any who, my main point in bringing the weather back up is how it has affected my meal planning. It's hard to eat summery foods when there's a cool breeze blowing through my home. I want hot and hearty meals these days to equal out these uncommonly cool summer temperatures. And accordingly, this week has been all about the slower cooker, which has been stored away in my cabinets for far too long (think February). Chop the onion up and sauté in very little olive oil; when they start to become translucent, add the turkey burger and cook until done. In the meantime, add all of the other ingredients into the Crock-Pot. Once the turkey burger and onion is cooked, add to the Crock-Pot. Stir well. Set the Crock-Pot on high for 4 hours. 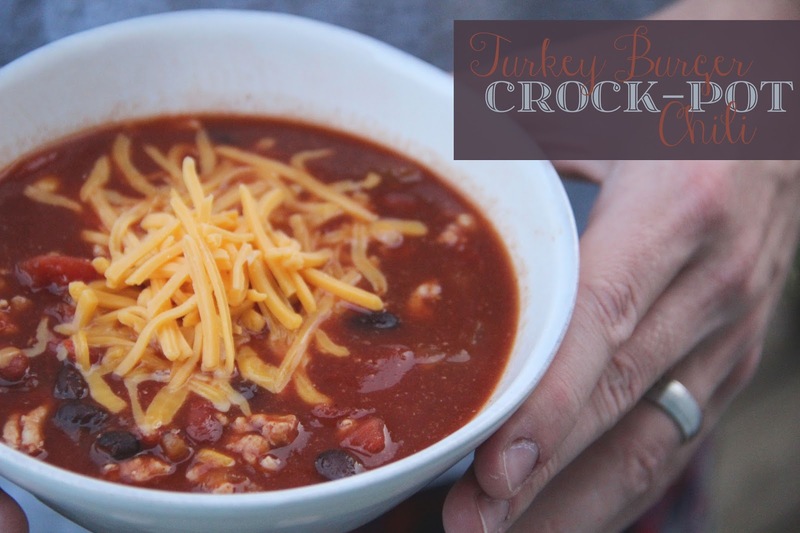 Top the chili with shredded cheddar cheese, sliced shallots, and sour cream! For cornbread muffins, I go with Martha White's yellow cornbread mix; you'll just need 1/2 cup of milk and one egg. Instead of baking it in a 9x9 dish, I use muffin tins and bake them for 12 minutes. A slice of butter tucked into their middle and you're golden! 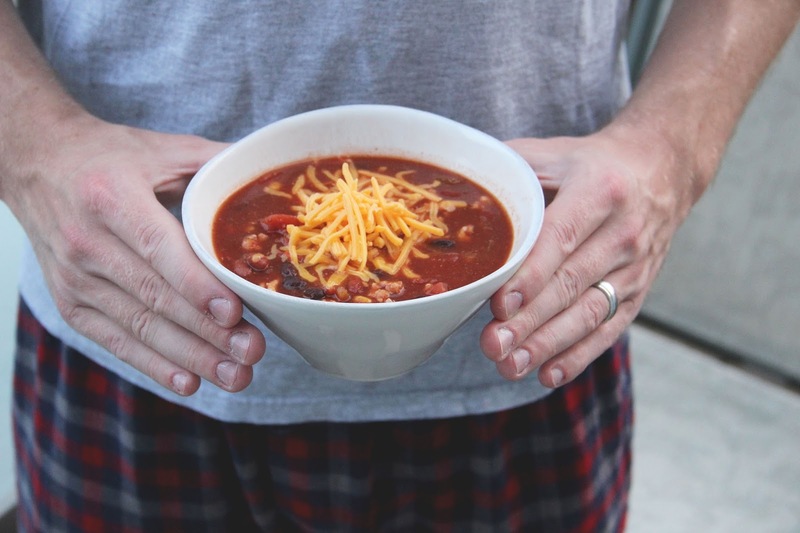 I also insist you wear some type of flannel pajamas while eating this chili, because it just seems so appropriate!